Congratulations to 2015-16 Hubert H. Humphrey International Fellow at the University of Minnesota's Humphrey School of Public Affairs, Mr. Camilo Molina Bolívar, on being appointed the new Strengthening Knowledge Undersecretary of the Secretary of Higher Education, Science, Technology and Innovation of Ecuador. Mr. Molina is a philosopher, theologian, master in social sciences, doctoral candidate in social sciences an applied economy, and he did an academic specialization in the Humphrey School of Public Affairs at UofMn. 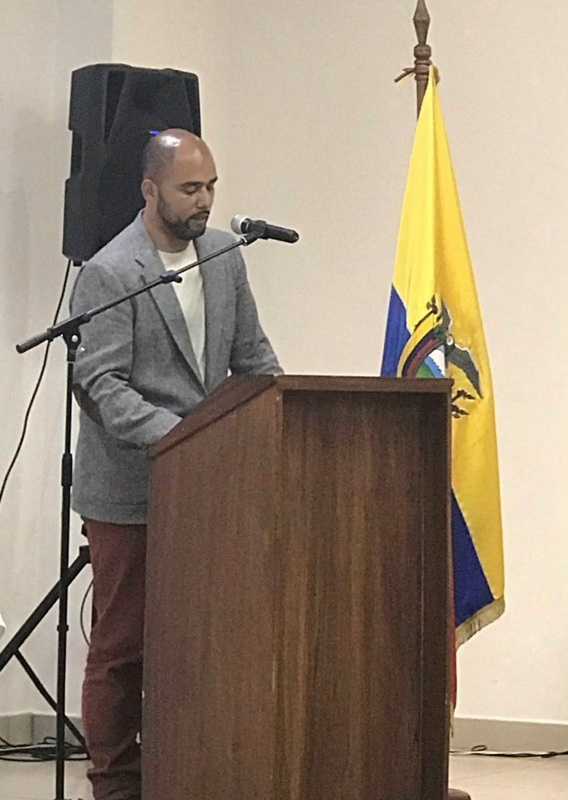 In addition, he is a professor of sociology at Universidad Tecnológica Equinoccial in Ecuador and coordinates a CSO observatory on development effectiveness. In the Secretary of Higher Education and Science, he will contribute to strategically manage the support and strengthen the public policy for the excellence training of Ecuadorians and to enhance the international and national fellowships programs; in that sense, his responsibilities include to work together with Organizations, Institutions, Governments and other actors of Higher Education around the world in order to achieve that objective in the medium and long term.